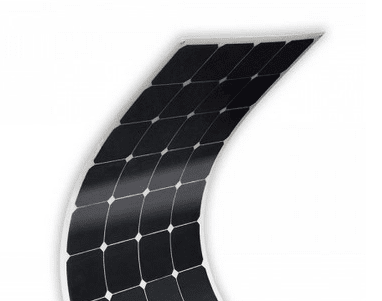 Are Flexible Solar Panels Worth It? Imagine the power of the solar panels that sit on your roof only you can take them down, roll them up, and take them with you to the beach (or, more realistically given that this is the UK, to the park on a slightly sunny day). Flexible solar panels offer free, clean, renewable energy on the move, and their popularity is growing rapidly. So why aren’t we all carrying one with us whenever we leave the house? Are flexible solar panels too good to be true? Like most exciting technologies, the specifics of how solar panels work are deeply technical, mind-bendingly complicated, and more than a little intimidating. Let me simplify it for you a little. A layer of specially treated material to create an artificial electric field with a positive and negative side (in the scientific sense, I mean. They’re not like evil twins.) When the sunlight hits it, this atoms in this semiconducting layer get very over-excited and start knocking electrons lose. This completes the circuit between the positive and negative sides of the panel and wham bam thankyou mam we have electricity! Flexible solar panels don’t work any differently, they’re just made of up much thinner layers and are therefore bendier. 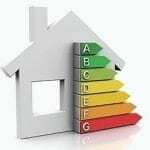 These adjustments have quite a big effect on the electrical output of the panels, but it also creates a whole host of benefits and opportunities. Portability: The first benefit that comes to mind might be the best. A flexible solar panel gives you the flexibility (excuse the pun) to take yourself and your electronic devices to places that you might never otherwise have gone. Half way up Ben Nevis? Recharge your camera batteries. Slumming it at a music festival campsite? Get your speakers powered. Day at the beach? Charge your phone up. Adaptability: Curved buildings, boats, caravans, tents, spacecrafts… if you can think of it, you can put a flexible solar panel on it. We especially get a lot of enquiries from people converting caravans and campervans for extended travel, but personally I use mine to power outdoor lights on my rented property – no invasive labour or lasting marks! Durability: Rigid glass systems have a lot of benefits, but try moving one about and you’ll see why most people opt for flexible solar panels when they want something portable. There’s a lot to be said for a type of solar panel that’s designed to be bent, rolled up, and frequently handled. 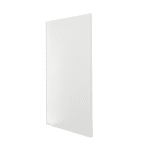 Cost: The MX FLEX panels that we stock at the EcoStore start at £74.99, VAT and delivery included. 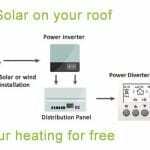 That’s free, clean energy generation wherever you can carry a panel with you for less than £75! Efficiency: Flexible solar panels are just not as efficient rigid panels. Top range rigid monocrystalline panel currently on the market can reach efficiencies of up to 22%, meanwhile the average flexible solar panel is somewhere in the mid-teens. This all comes down to the thickness of the silicon wafers used to build up the panels – whoever said size doesn’t matter was not talking about internal solar panel components. It’s therefore important only to buy flexible solar panels of high quality – in the EcoStore we stock _, some of the best on the market. Space: It seems pretty counterintuitive that these super-skinny panels could take up more space than bigger ones, but with lower efficiency you need more panels and therefore roof space to generate the same output. 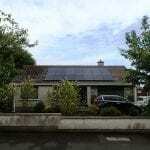 While flexible solar panels are a wonderfully adaptable way to generate energy, using them as a permanent rooftop array is not the best way to make the most of them. So… Are Flexible Solar Panels Worth It? Look. We’re not talking about flexible solar panels just because we sell them – we’re selling them because we think they’re worth talking about. 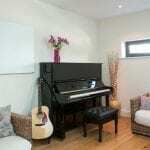 There are limitations and that’s important to recognise – we would never recommend . However, in the right circumstances – if you’re a frequent camper, seasoned sailor, caravanner or just adventurer – then flexible solar panels are a cost effective way to make the most of one of the best energy sources in the universe. Get yourself a flexible solar panel! These sound like a reasonably practical solution to power requirements in the summer … however you don’t explain how they work in a practical sense. Do you just plug your lights into an adaptor that then takes the power – or is there more complicated kit required to make them usable. Also an explanation re power outputs etc would be helpful to gauge how many would be needed say to boil a kettle etc.